On 10 April 1998 the Good Friday Agreement for peace in Northern Ireland was signed but the treaty did not please everyone. Four months later, on 13 August, a maroon Vauxhall Cavalier was stolen from Carrickmacross, County Monaghan in Ireland. Two days later, three warning telephone calls were made in the morning, two to Ulster Television and one to the Samaritans. The first two claimed that a bomb was planted outside Omagh courthouse. That plan was changed when the bombers could not find a parking space and instead left the car filled with 227 kg (500 lb) of explosive outside Kell’s draper’s shop in Omagh town centre. Details of the calls were given to the Royal Ulster Constabulary who began to evacuate streets around the court building. They shepherded people towards the town centre, the very place where the bomb was now primed to go off. Shortly after 3pm it exploded, killing 29 people and injuring more than 220. British Prime Minister Tony Blair called it an “appalling act of savagery and evil”. Sinn Fein leader Martin McGuiness said, “This appalling act was carried out by those opposed to the peace process.” However, that did not stop Sinn Fein initially refusing to help with any inquiry into the outrage. The Real IRA who had carried out the bombing denied misleading the police and said that civilians were not the targets. Those injured by the carnage were taken to Tyrone County Hospital and the Erne Hospital on stretchers and on foot as well as in cars, buses and ambulances. Helicopters arrived to take the wounded to the Royal Victoria Hospital in Belfast and Altnagelvin Hospital in Derry. A week later, the Irish National Liberation Army called for a ceasefire and the Real IRA also halted its missions for a short time, apologizing for the attack on 18 August. On 22 September the RUC arrested 12 men in connection with the bombing and later freed them all without charge. Seven men were detained on 25 February 1999 and on 28 February County Louth builder and publican, CoIm Murphy, was charged. 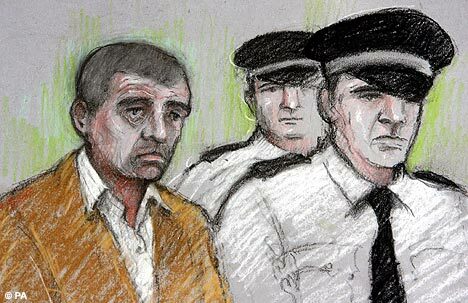 He was convicted on 23 January 2002. He was sentenced to 14 years in prison but his conviction was deemed unsafe in January 2005 and a retrial ordered. His nephew Sean Hoey spent four years in prison on remand before being cleared of 56 charges of murder and terrorism on 20 December 2007.